One minute, Keeton West is a confirmed bachelor and bull rider who lives out of a suitcase. The next, he's the single dad of a baby he didn't know existed. Now back in his hometown, everyone remembers the tragedy that changed his -- and Sophie Cooper's -- lives forever. He desperately needs Sophie's help with little Lucy. But spending time with Keeton seems to remind Sophie of all she lost. She won't get close to another bull rider. Yet one sweet baby girl has her own way of bringing two hearts together. In this third book of the series, we see one of the Cooper Sisters get her romance as she helps Keeton West and his three month old daughter he had just learned he had. 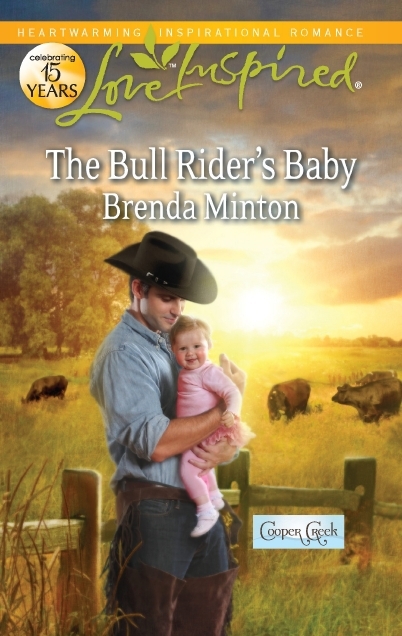 Keeton, a bull rider for a living, had little knowledge of what to do with a baby while Sophie, one of twelve children in her family had lots of knowlege when it came to kids. Various circumstances kept putting these two together, but one thing stood in the way: the death of keeton's brother many years ago who was also Sophie's boyfriend. The book was sweet. The author's descriptions of the little girl, past feelings, and involving other people in the family was wonderful. It amazes me that she has the personalities of all her characters mapped out already! With twelve kids (four of which are married), parents, grandparents, and past characters from her Cowboy series, it's wonderful to see consistency and conversation that doesn't take away from the story at hand. There was a surprise twist to this story near the end that I didn't see coming, and a wonderful heart-to-heart Mother-Daughter conversation.